Inn of the Mountain Gods Golf Course is Open! Experience New Mexico golf at its finest on one of the most spectacular golf courses in the country. Nestled among tall pine trees under the majestic Sierra Blanca Peak is the impressive Inn of the Mountain Gods Resort Championship Golf Course. Designed by Ted Robinson, this New Mexico Golf course features an island fairway as well as fast-breaking greens that are not only beautiful to see, but also quite challenging to play. Come see why our Championship Golf Course recently garnered a top spot in Golf Digest’s “Top 40 Casino Golf Courses,” ranking number 23! 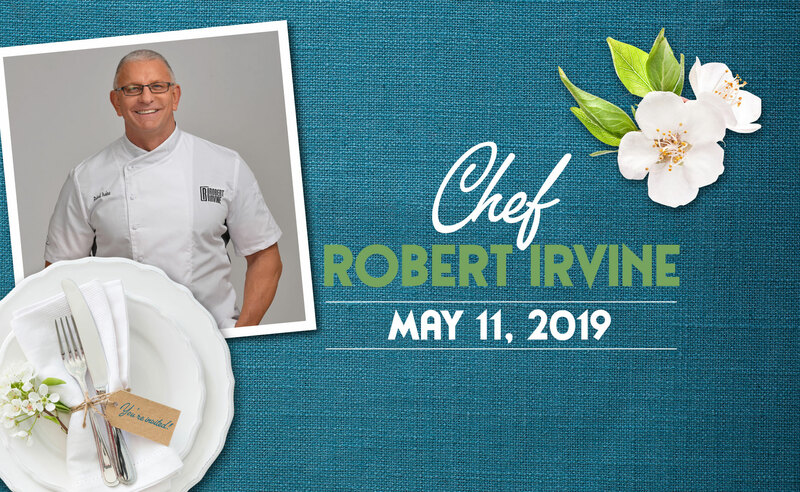 Call 1-800-545-9011 Ext: 7941 for more information. 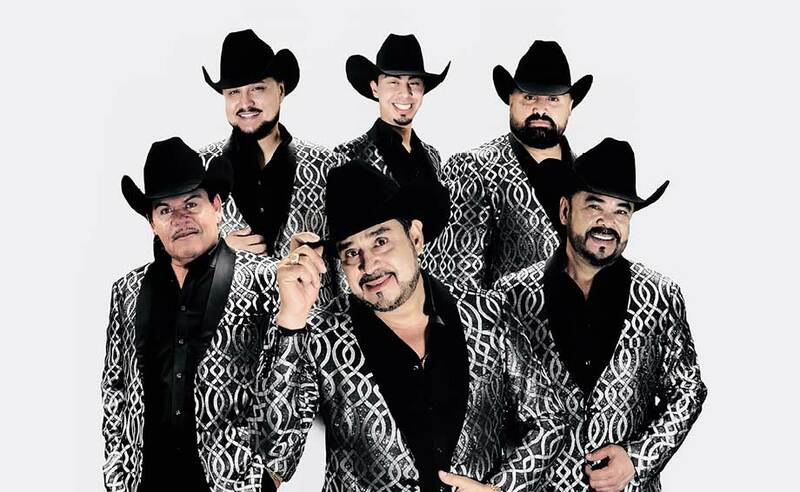 Like us on Facebook and see exclusive updates, promotions and discounts first. Book a tee time today at Inn of the Mountain Gods golf course and reserve your spot in advance. Download the Championship Golf Scorecard and keep track of how you're doing throught the course. 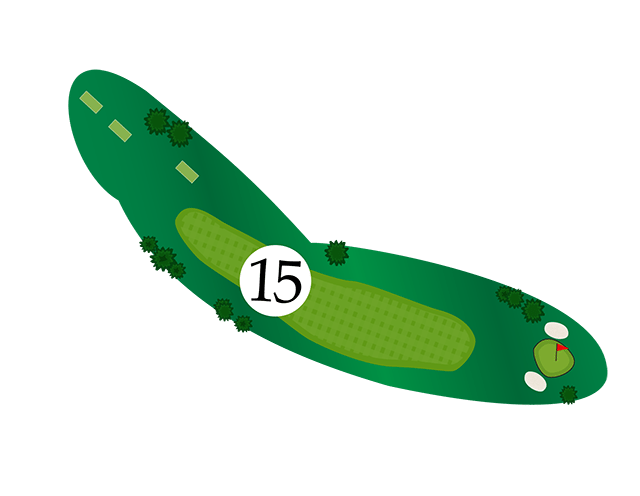 Preview the entire course with a hole by hole overview showing the beautiful and challenging features. Call the Inn of the Mountain Gods Championship Golf Course. Our employees are happy to help. Tee times starting 9am-10am depending on frost. Golf shop closes at 4pm. Any players starting after 3:30pm can only play 9 holes due to light conditions. Hotel guests can make tee times three months in advance. Non-Guests can reserve tee times up to two weeks in advance. Please check rates before booking. All cancellations must be made 48 hours in advance. At this time we do not have cart service from golf to hotel – nor can we pick guest up at the hotel. We apologize for any inconvenience. Military rates: Must have current Military ID – $10.00 reduction on green fee. Junior rates: Junior rate: 17 yrs and under. $45.00 during shoulder season and $55.00 during Season. Senior, Military, and Junior rates available only on Seasonal and shoulder seasons. 9 Hole rate: Only available on weekdays – (Monday thru Thursday) during seasonal and Shoulder Season play. $15.00 reduction on green fee. Sunday and Monday Afternoon Special: After 1:00 pm – $55.00 everyone included. Locals: 6 round punch card – $270.00 After 2:00 pm Sunday thru Thursday. A savings of $60.00 per day. 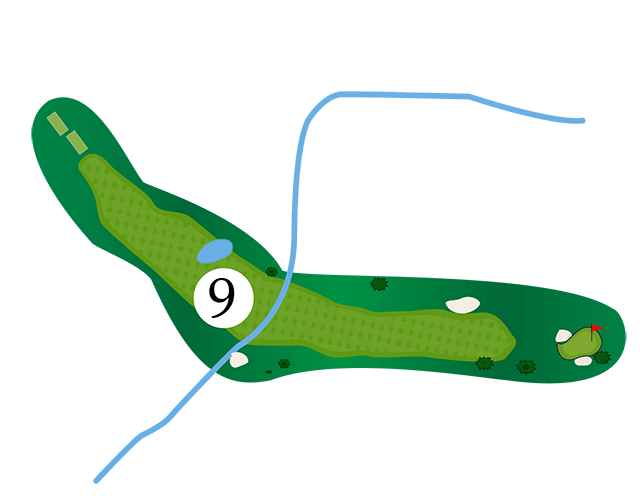 Tour the Inn of the Mountain Gods Golf Course layout and see why so many of our players can't wait to hit the green. Designed by Ted Robinson, this New Mexico Golf course features an island fairway and fast breaking greens that are not only beautiful to see, but also quite challenging to play. 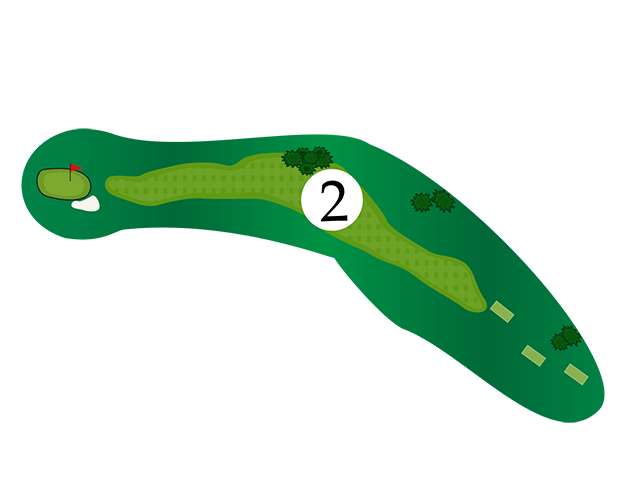 Explore our course map and hole-by-hole overview. The ideal first shot on this uphill par 5 is a 270 yard drive from the Blue tees. A second shot of approximately 165 yards, will leave a 100 yard third shot to the two-tiered green. 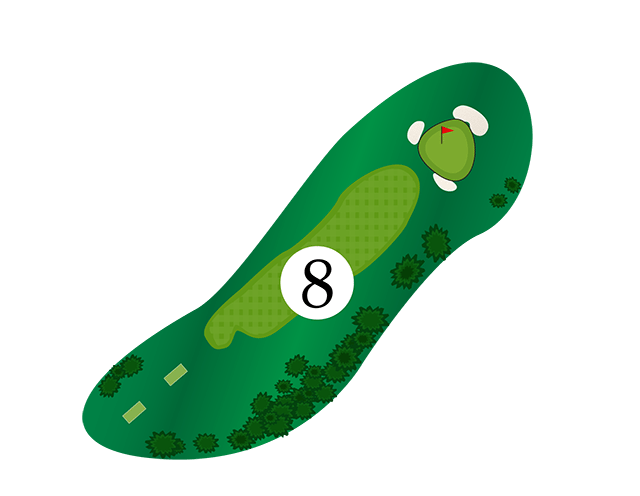 Stay below the pin – this green is fast green when putting downhill. 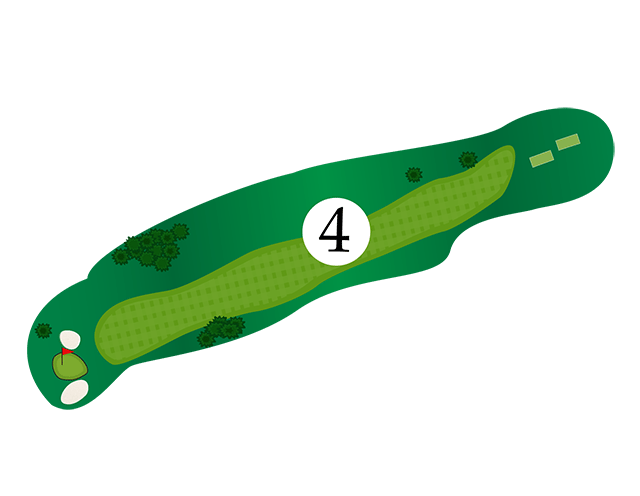 An ideal first shot on this downhill par 4 is a right to left drive of approximately 240 yards. If you're brave challenge the narrow dog leg and two trees in the middle of the fairway. 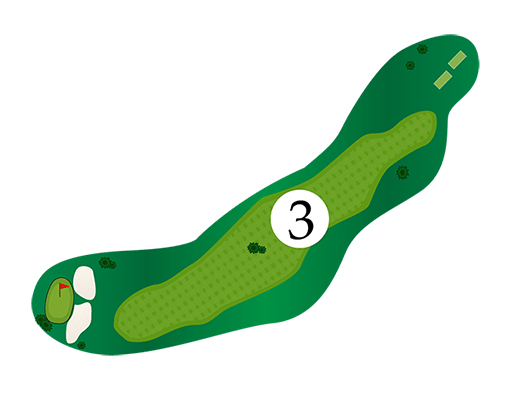 Navigate around the trees with an uphill second shot of approximately 190 yards. 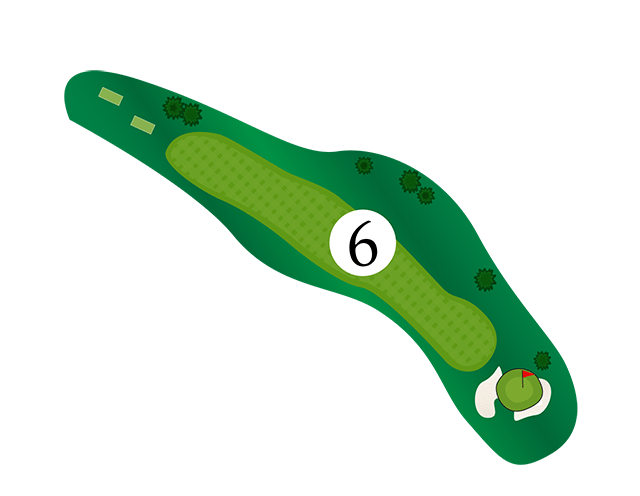 The fast green green features a top to bottom slope with sand on the left side of the green. Stay below the pin. This short par 4 features trees in the middle of the fairway. Navigate the tee shot left of the trees approximately 233 yards. This leaves a 100 yard shot to the green. 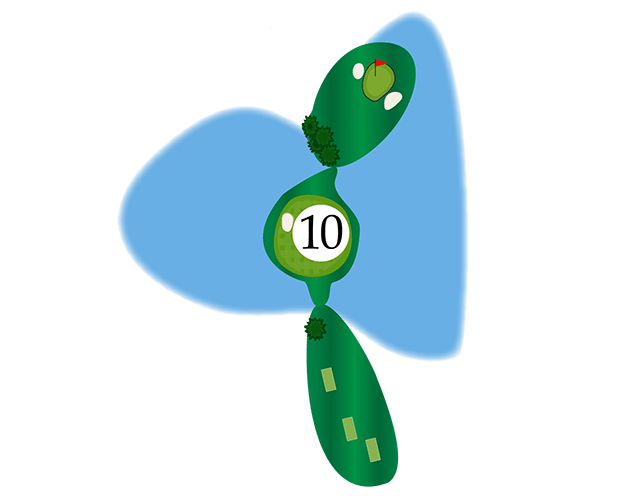 Stay below the pin as the green is fast green when putting downhill. This uphill par 4 features a tree lined fairway. 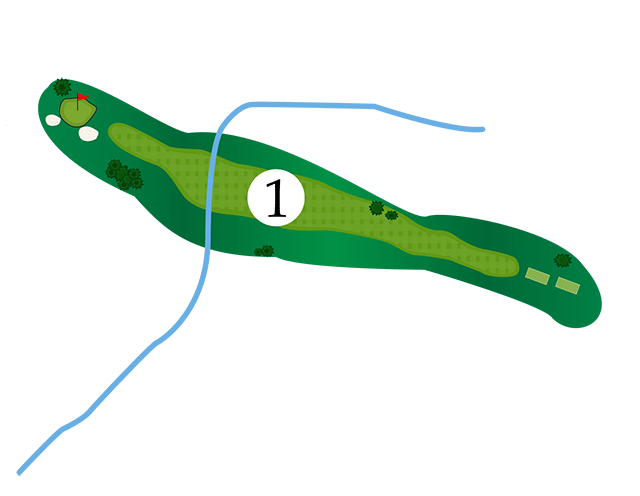 A drive longer than 260 yards puts the trees in the narrow part of the fairway into play. 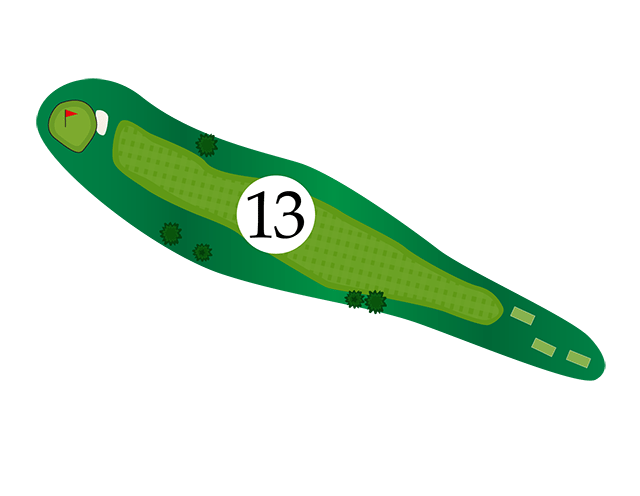 Navigate bunkers on both sides of the green on a second shot of approximately 130 yards. Stay below the pin, this green is fast when putting downhill. The green on this par 3 is guarded by water on the left and sand on the right. Putting on this green can be trick with slow downhill putts. Wind swirls on this short par 4 that plays approximately 350 yards. An uphill tee shot leaves you about 100 yards to a wide green protected by front-right and back-left bunkers. This uphill par 4 is tough off the tee, a bunker protects the right side of the sloping left to right fairway. A good tee shot leaves a shot of approximately 130 yards to a two-tiered green protected a bunker on the left and large trees on the right. This scenic, downhill par 3 drops in elevation approximately 200 ft. to a green protected with bunkers on the left, right and back. Choose your club wisely as the elevation drop will accommodate a one to two club difference. The green also plays slow coming down the hill. 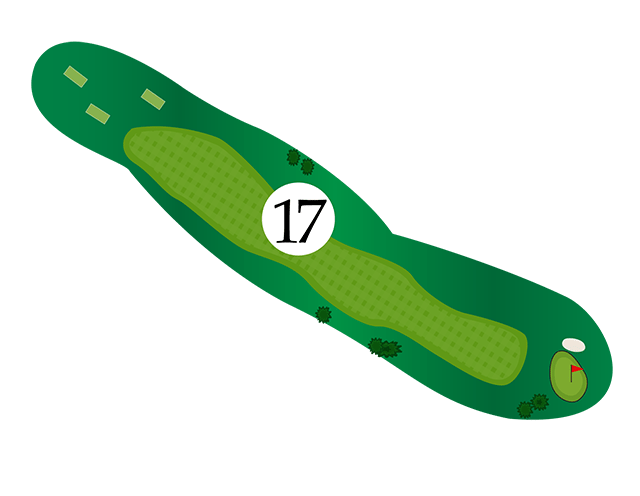 Shape your tee shot left to right to avoid a fairway bunker located approximately 280 yards from the tee on this downhill, dogleg left par 5. A 230 yard second shot leaves approximately 100 yards to a green with bunkers on the right and left. 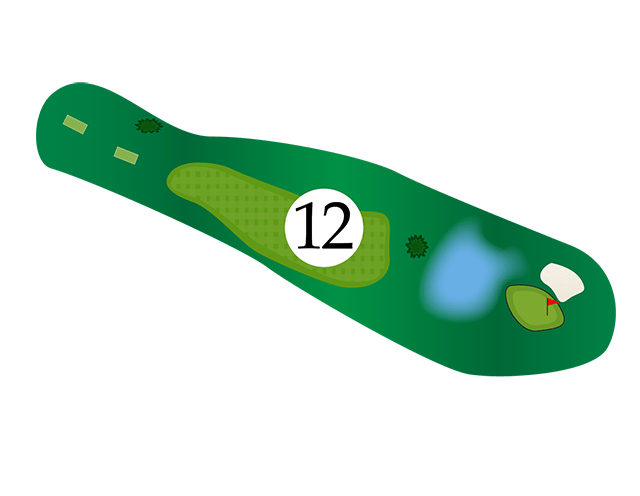 The two-tiered green breaks against the common slope break of the course. It's risk and reward on this short par 4. 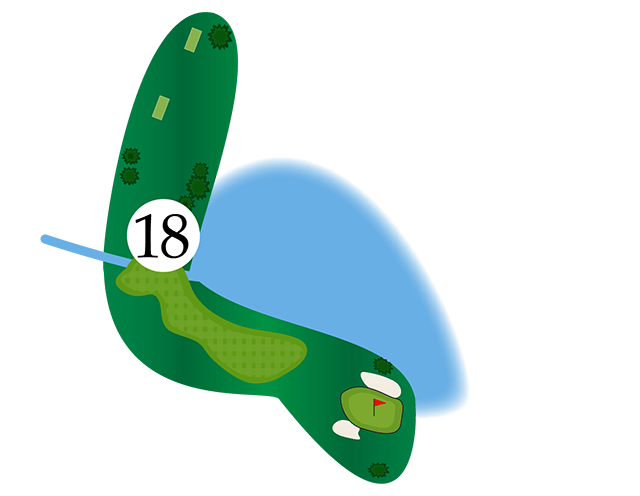 Lay up on the island, approximately 170 yards leaving a second shot of approximately 140 yards of the water to the green. Or, drive over the lake to a distance of 280 yards (all carry). The green is protected by bunkers on the left and right. The downhill tee shot on this par 5 is protected by a bunker on the left and trees on the right. A good tee shot leaves a second shot of approximately 240 yards to the green. The two-tiered green is protected by bunkers on the left and right. Great opportunity for eagle! The green on this par three is protected by water in front and back and a bunker on the left. 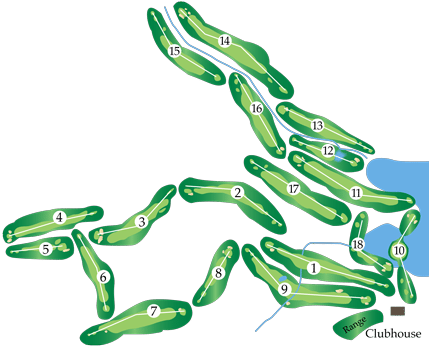 The best option is a straight ball or slight favor of the right side of the green. Take stock of the breeze before selecting your club. 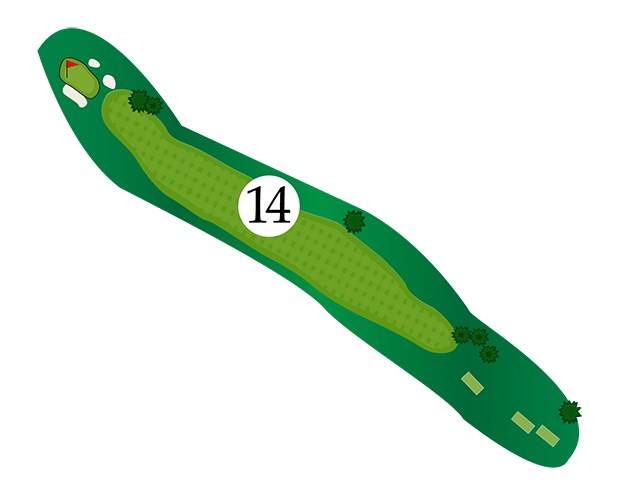 This par 4 generally plays into the prevailing breeze. The bunker on the left side of this wide fairway can come into play on the tee shot. 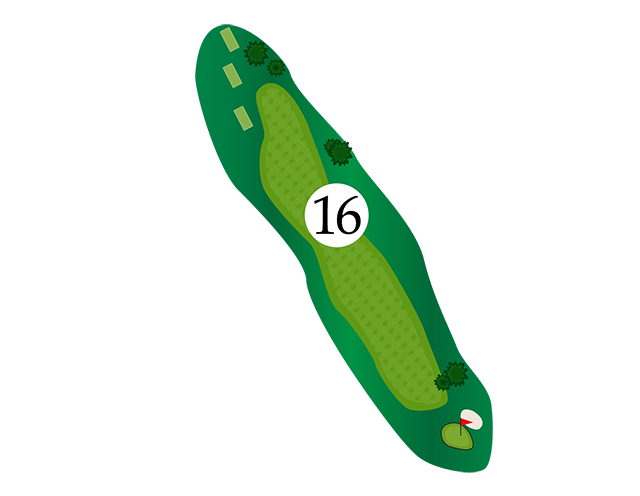 A good tee shot will leave a 150 yard shot to a green protected by a front, right bunker. 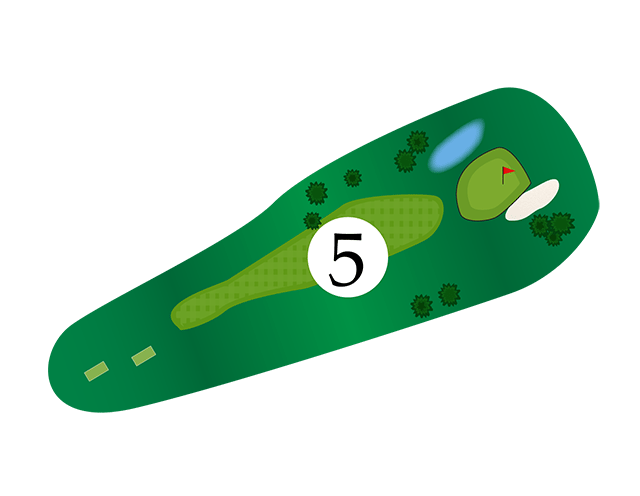 This double dogleg is the toughest par 5 on the course. A first shot, dogleg left of approximately 240 yards will avoid the trees lining both sides of the fairway. 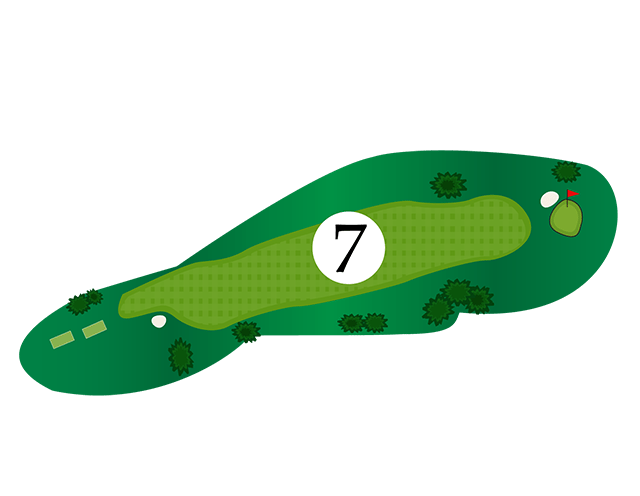 The second shot is usually a dogleg right, lay-up of approximately 175 yards. This leaves a 100 yard shot to a two-tiered green protected by bunkers on the left and right. Stay below the pin as this green is fast when putting downhill. Shape your tee shot from right to left to avoid the trees on this dogleg left par 4. A good tee shot leaves a shot of approximately 130 yards to a green protected by bunkers on the left, right and back. This short par 4 is protected by large pine trees on both sided of the fairway. A tee shot of approximately 240 yards will avoid the pine trees and setup a short iron shot to the green. The green is protected by bunkers on the left and right side. The tee shot on this long par 4 is protected by a lone pine in the middle of the fairway. Navigate left or right of the tree for a shot of approximately 150 yards to a green protected by left and right bunkers. Stay below the pin, this green is fast when putting downhill. 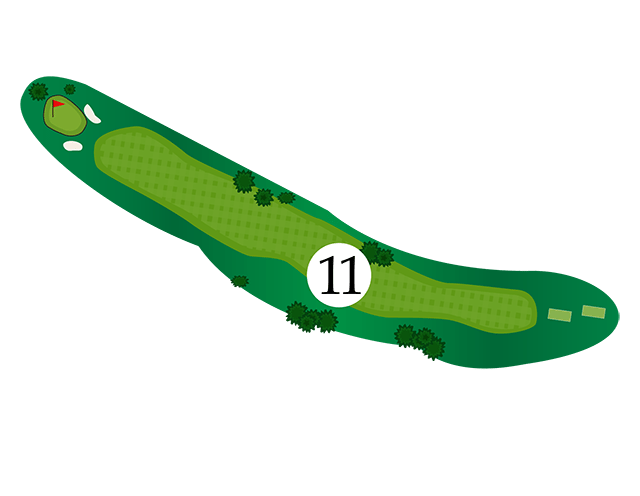 The 18th is the toughest par 3 on the course. Players are forced to carry over the water to a green protected by left and right bunkers. There are very subtle breaks on this green making it very difficult to read. Golf Course will stay open thru Thanksgiving Weekend - Weather Permitting. We invite everyone to stop by the golf shop and do a little shopping. Thanks to everyone for a great season! 30% OFF all clothing in the golf shop and several racks with clothing off. 40% OFF on all golf clubs in the golf shop. 40% OFF on all shoes in the golf shop.